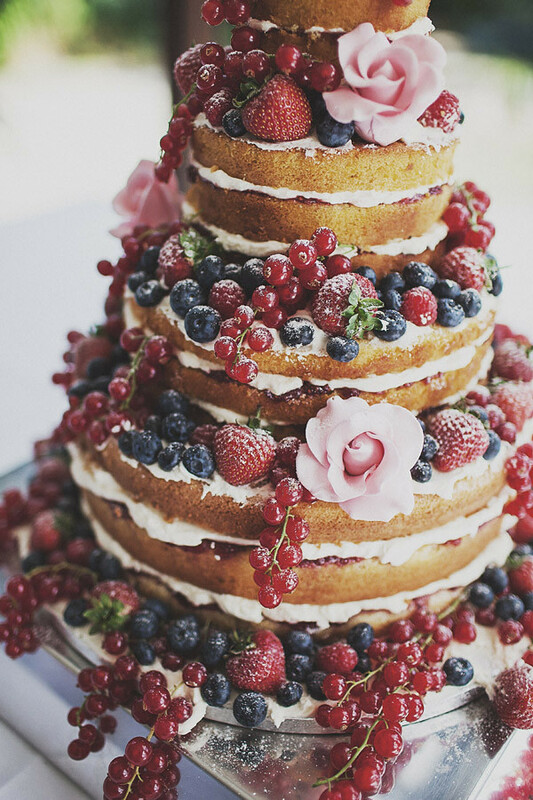 Your wedding cake may be the least of your worries right now, or it may be your top priority. 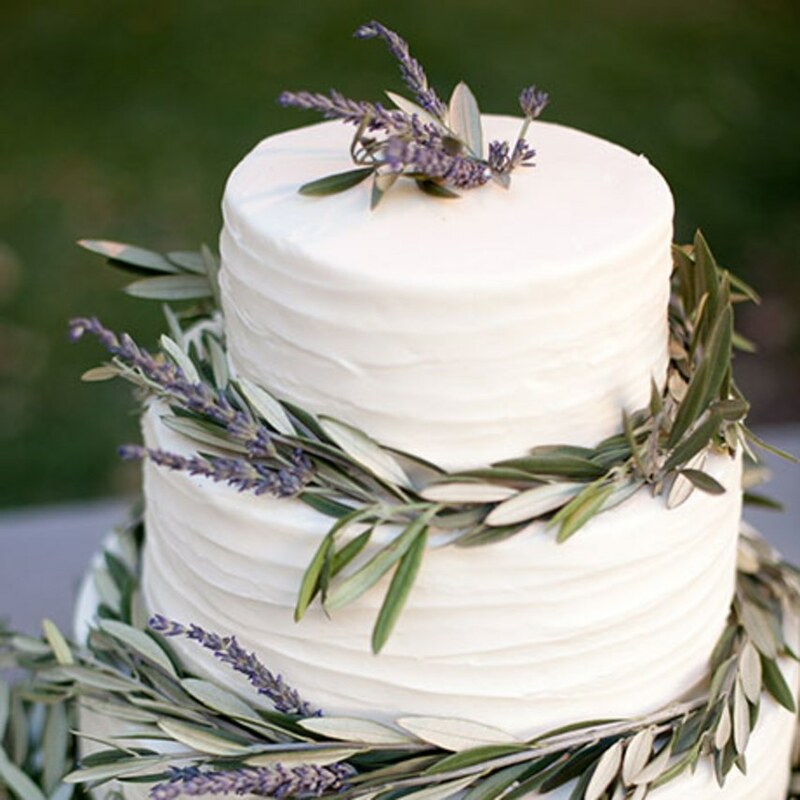 When it comes to choosing the perfect wedding cake, there are a lot of things to consider. From budgeting to picking out the right flavor, make sure all of your questions are answered before it comes time to cut the cake. Make sure your cake style matches your wedding style. The number one rule is to not choose your wedding cake until you have chosen the style of your wedding. You want a cake that is compatible with your venue and that goes with your overall look. That includes your dress, the flowers, and the season you are getting married in. Have an idea of what you want before you begin your cake hunt. Bring a piece of lace from your wedding dress or a picture of your flowers; you want everything to be cohesive. Skip the bright colors. Choose a white cake. No one wants to eat blue or green frosting. If you want colored accents, bring in a swatch of fabric so the baker can get the color right. Wedding cake can be expensive, but it doesn’t have to be. Make sure you have a budget in mind. Wedding cake is usually priced by the slice. Prices can range anywhere from $1.50 to $20. Generally, three tiers will serve 50 to 100, and you’ll probably need five layers for 200 or more guests. A common rule of thumb is that more flavors equals more money. The more complicated the cake, the bigger the price tag. There are tons of ways to save. You may just have a small cake to cut, and then offer cupcakes or a dessert table for your guests. Stick with seasonal fruits and flowers to decorate. It will still look elegant and will also be cheaper. Stay away from tiers and molded shapes. You may dream of handmade sugar flowers, but are they worth breaking your budget? Think about adding a second cake. 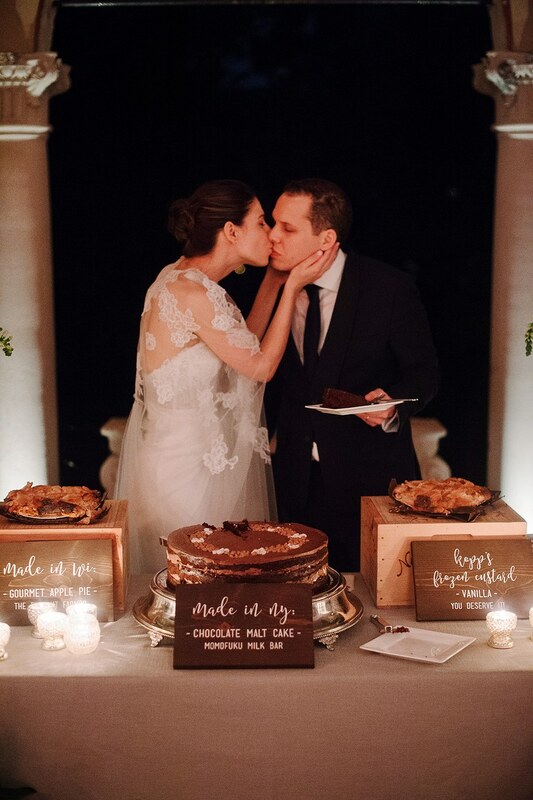 A groom’s cake is popular among Southern weddings. 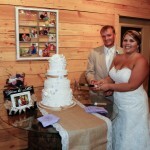 The classic white cake is the one cut at the reception by the bride and groom. The groom’s cake is usually richer (often chocolate), and it is often designed to show off the groom’s passions and obsessions. 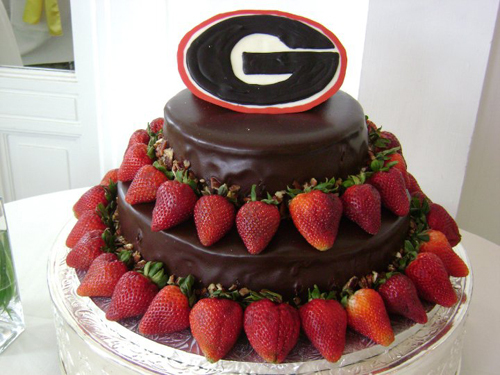 Order a cake inspired by the Georgia Bulldogs or one that highlights his undying love for The Masters. Give slices to guests to take home, or cut and serve both for dessert. Go in for a tasting with your significant other. Arguably the most important thing is the flavor of your cake. Your cake should taste fantastic. 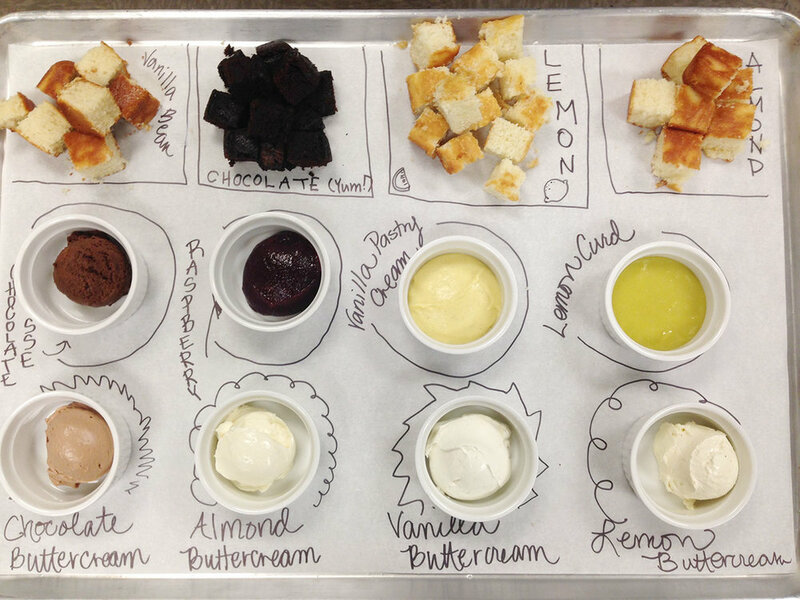 Set up an appointment with a bakery, and taste lots and lots of flavors. Its okay to stray from vanilla and chocolate. This wedding is about you, and if that means coconut cake or hazelnut mocha buttercream, that’s okay. Do not worry about pleasing all of your guests. Consider the weather. If you’re having an outdoor wedding in July, stay away from whipped cream and buttercream as they will melt. Ask your baker about different icings that hold up against the heat, or go for a fondant-covered cake, which doesn’t melt as easily. \Don’t forget about the delivery. Cake delivery takes a lot of coordination. Complex cakes may not arrive already put together, so allow time and space for it to be assembled. Make sure your cake has a designated spot at your reception site when it is delivered, especially if it needs to be refrigerated. It is easiest to go ahead and discuss delivery details with your baker before you buy the cake.